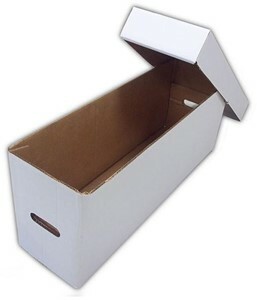 Long box for comic book storage. Exterior dimensions approximately 8 1/4 x 11 1/2 X 28 1/2 inches. Contains 200-225 bagged and boarded comics from modern to Golden Age size.